$50 Microdermabrasion Treatments FEBRUARY Special Save $45!! Allow us to clear up any misconceptions. 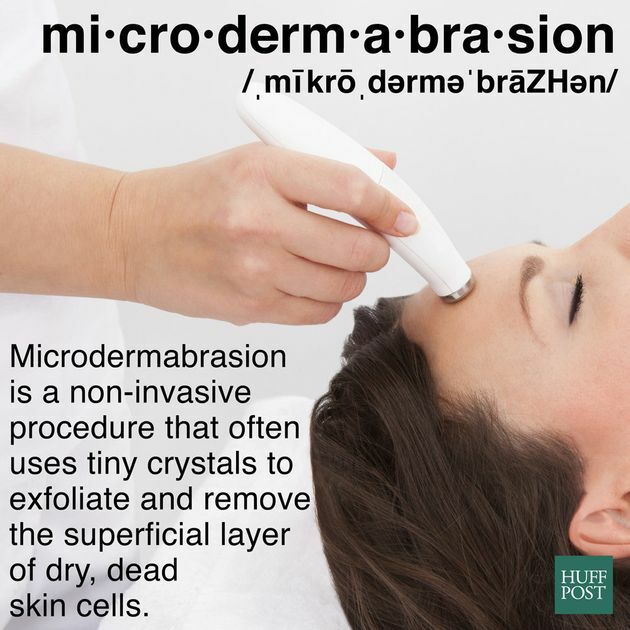 Microdermabrasion is a procedure that exfoliates and removes the superficial layer of dry, dead skin cells. According to licensed medical aesthetician Maria Barry at Union Square Laser Dermatology, microdermabrasion machines can buff and polish the skin using a stream of fine crystals or a diamond tip. Some systems have suction to vacuum loose skin cells from the face. Two of the major differences between in-office microdermabrasion and at-home treatments is that the devices used in a medical office generally have larger motors and more power, and they penetrate deeper into the skin to provide precise exfoliation. Barry points out that due to the higher costs of the professional procedure, drugstore products or treatments are a great way to extend the time between in-office microdermabrasion visits. If you have any reservations as to how your skin may react to this level of exfoliation, Barry reassures us that microdermabrasion is not painful. “It may leave the skin slightly red for a few hours and possibly more sensitive. A calming moisturizer and sunscreen should be applied after treatment,” she says. This entry was posted in Skincare Services and tagged Brown Spots, Darkspots, Melasma, Microderm, Pigmentation, wrinkles.